They’ve been helping artists make music for years, but now they want to help you listen to it. Fender knows music. Mention Fender around people who know some music history and a variety of superstars will come to mind: Eric Clapton, Jimi Hendrix, Ritchie Blackmore, Jeff Beck. Fender has built its status as a musical legend by supplying the best instruments to the people that have redefined music again and again, and by now Fender has become a household name in the United States. With their uncontested dominance of the guitar world, Fender has set their sights into the other side of the musical world, the listener. You. Which is why we at InMotion believe this is a historic moment for the music world. They’ve brought their technical expertise and decades of experience to designing a line of in-ear headphones and portable speakers that are fueled by top-of-the-line audio engineering and years of creating the most distinct sounds the music world has ever heard. Read on to see the headphones and portable speakers that are reshaping what it means to listen to music. Wireless headphones are a triumph of the musical world, not only for their versatility but for their ability to make listening to music even easier than it was before. Even with the magic of modern technology, using wired headphones could lead to wires fraying and breaking, leaving the copper underneath stripped and exposed. Today, we no longer have to worry about those potential health risks and disjointed sound, because Bluetooth capabilities allow us to explore the beautiful landscapes of sound without the limitations of a wired connection. 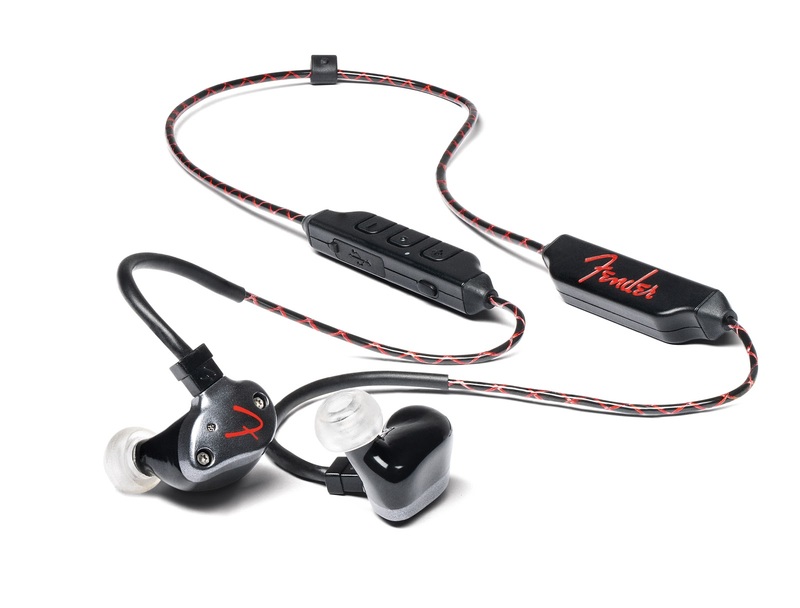 Fender adapted their PureSonic Premium Wireless Earbuds from their series of in-ear monitors, audio devices designed to allow musicians an exquisite and highly accurate depiction of the music they’re creating delivered right into their ears. Fender brought that precision and focus on comfort directly into their Puresonic series, with ergonomic earbuds that will make you forget you’re even wearing them. They also have adjustable ear hooks that promise to conform to any shape and size, ensuring that you won’t experience even the mildest discomfort when enjoying your audio experience. The headphones are also splash-proof, rated at IPX4 for water resistance, ensuring that if you adopt these hard-working headphones for your workouts you won’t need to worry about sweat damaging their internal hardware. For a powerful, premium set of earbuds designed by people who know how to enjoy music, the PureSonic Premium Wireless Earbuds deserve an encore. If there’s anything to be said about the PureSonic lineup, it’s that it’s hard to choose between so many amazing products. The PureSonic Wireless Earbuds, like their Premium siblings, also deliver the exceptional quality of sound, the effortless ergonomic fit, and the tenacious Bluetooth technology allowing your music to go mobile like never before. Granted, the Premium version does have a slight advantage, with 9.5 mm audio drivers versus the standard version’s 6 mm drivers, but the standard version has enough differences to set them apart. 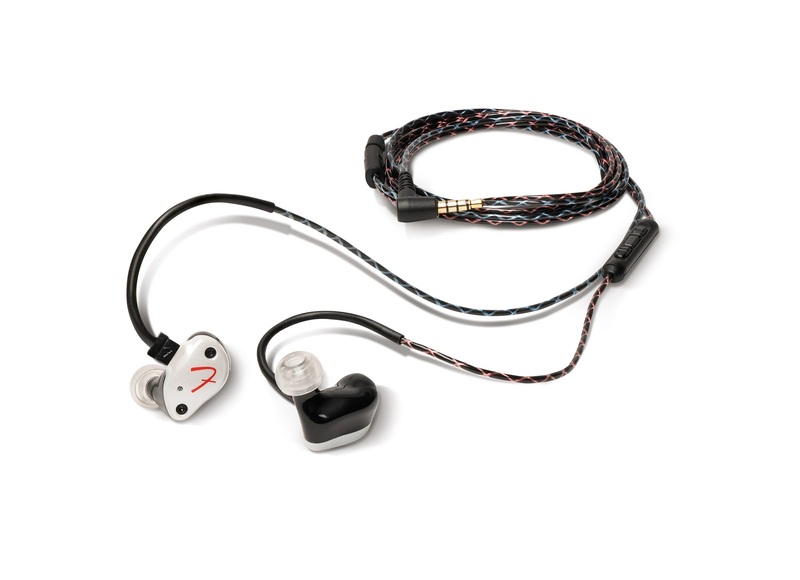 The standard version lacks the ear hooks of the premium version, opting instead for a unique triple-flange retainer on the earbud itself, allowing for a comfortable yet durable fit that consistently manages to stay put to ensure maximum enjoyment. The earphones come with four different tips to ensure that your ears will be catered to by one of the different shapes. The PureSonic Wireless series also offers echo-canceling technology on calls, eliminating that distracting effect where you can hear yourself over the phone in the other person’s message. The standard version, like the Premium, also offers 6 hours of music on a single charge, allowing you to enjoy a whole range of music before needing to plug them in. The PureSonic Wireless Earbuds are a statement to Fender’s commitment to providing musical experiences you’ll never want to end. There’s no argument that wireless headphones are amazing pieces of technology that have made music even easier to listen to, but wired headphones can still deliver exceptional musical experiences on their own. Maybe you enjoy the nostalgia of a pair of wired headphones, or maybe you love the classic look that wired headphones create. Regardless, there are some tangible reasons you should consider a pair of wired headphones. 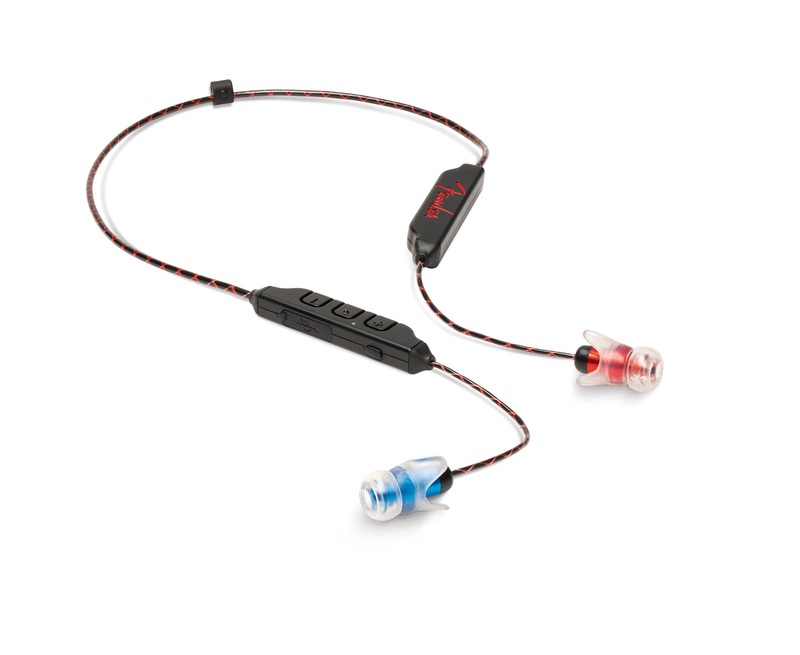 Take, for example, the Fender PureSonic Wired Earbuds. They feature amazing 9.25 mm high performance dynamic drivers, ergonomic earbud design that caters to even the most active lifestyles, and an accessory kit complete with an airline adapter, a ¼” plug, a cleaning kit for keeping those earbuds pristine, and a deluxe carrying kit to let you keep your headphones on you in style. The cable also features a set of buttons for controlling your music directly through the headphones, and a microphone so you can take calls as well. These headphones are undoubtedly eye-catching, especially with the sleek and stylish design of the earbuds themselves, and there’s no denying that with a pair of headphones like these in your ears, people would be turning their heads. Music is best appreciated with friends, which is why we decided to end this piece with one of our favorite examples of portable audio excellence. 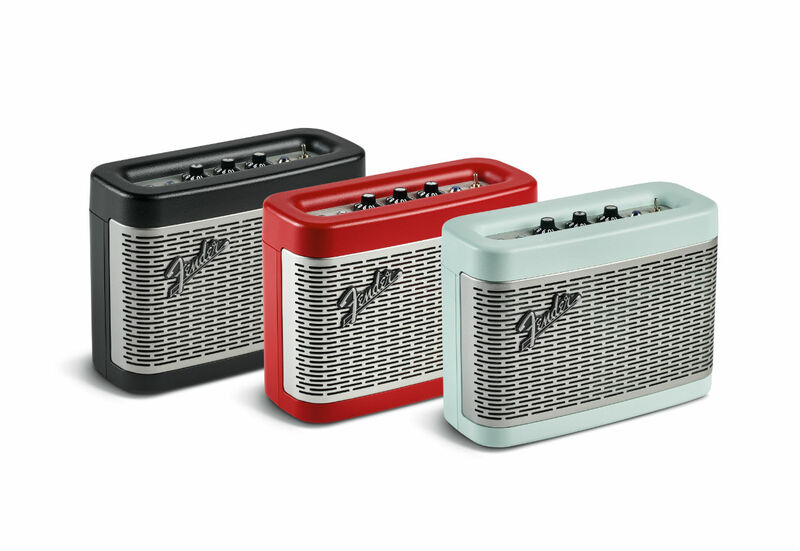 Headphones are perfect for a personal listening experience, but nothing beats the Fender Newport Bluetooth Speaker when it’s time to get you and your friends grooving to the same beat. Whether it’s a gathering by the pool, an elegant black-tie soiree, or a festive late night pizza party with friends, the possibilities are endless. And believe us, you really can keep the party going all night long: the speaker boasts an incredible 12 hours of music on a single charge, and with a 33-foot range for your Bluetooth to work with, this powerful dynamo will bring your events to the next level. For the classic Fender look and design with the wonders of modern audio technology, the Newport Bluetooth Speaker is a feast for the eyes and ears. This was our latest celebration of all things Fender, and if you can’t tell, InMotion is positively delighted to deliver these exceptional products to your attention. Which did you think was the most exciting product? Are you more interested in personal listening devices, or something for your group occasions? Let us know in the comments below! We love to hear from you!